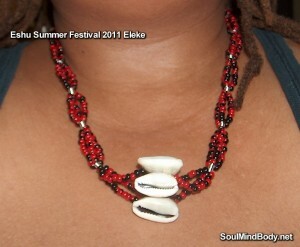 From the evening of the 27th of June until the evening of July 4th 2011, we have special package deals for the Summer Festival of Eshu. These deals will not be available again until the week of September 29th, 2011. Basically, you get a kind of starter amulet package plus our basic services for a year. The macuto in its box and the eleke will be sent by EMS express mail. Later items will be sent by registered mail unless they are sensitive and better sent by EMS. We will be making all sorts of things from the inspiration of Eshu this week, so you will also get other items that aren’t listed here regardless of which package you choose. Join in our celebration of the Gatekeeper! Short on spending money this year? Remember, we’re a community, not just a store. Check our festival schedule, and send us your requests to bring up during our community offerings and ceremonies. It is especially important that if you have friends or relatives in combat or sensitive positions, you let us know by Friday night’s Warrior ceremony. 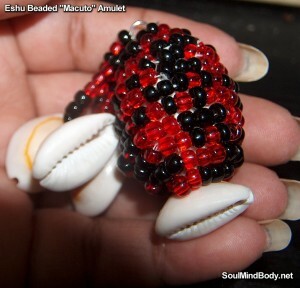 community, deals, elegbara, eleggua, eleggua festival, elegua, elegua festival, eshu, festival, free ceremony, free offerings, macuto, offerings, offerings to eleggua, offerings to elegua, offerings to eshu, package deals, papa legba, protection, readings, requests, sales, specials, summer festival, warriors. Bookmark.